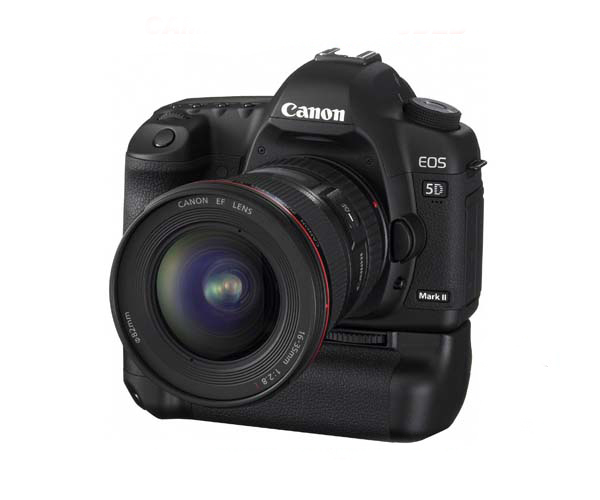 When I first purchased the Canon 5D Mark II, extra backup batteries were over $120.00. Not to mention, they were sold out everywhere and price gougers on e-bay were selling them for around $180.00. Considering at the time the 5D replacement batteries were only around $25.00, I was heartbroken. I had a great new camera, and only one battery. A battery grip was out of the question. Especially since it carried a $238.00 price tag. Yes, $238.00 for a battery grip that would house 2 of your $120.00 batteries. I'd rather just make sure my camera had a full charge and the 5d for backup, than spend over $450.00 on a battery grip setup. Fast forward 9 months later. The price of the canon battery dropped to around $60.00 and the off brand batteries were around $15.00. But the price of the battery grip was still $238.00. Thankfully a company called Zeikos released their battery grip that worked with the Mark II. The Zeikos comes with a high quality battery grip that can house 2 mark II batteries. Just like the Canon battery grip. It also comes with a holder for 6 AA batteries for emergency situations. Just like the Canon battery grip. It has a vertical firing release, vertical AF button, AF point selector/enlarge button, and AE lock/FE lock/index reduce button, vertical grip main dial, and vertical operation switch. Just like the Canon battery grip. It has a slot to store the battery door while the grip is attached, interfaces with the display to show all battery information (shutter count/percentage.) Just like the Canon grip. You can see where I'm going with this by now. Other than a few minor cosmetic differences, The Zeikos battery grip performs and functions just like the canon grip, at a third of the price. The rubbery grip is a little bit softer than the Canon model grip. I actually prefer this grip to Canons. It has a better grip and it's definitely more comfortable to the touch in long shoots. There's no additional Canon badging on the front of the grip, so it ends up making the camera and grip looking more like a one piece unit. The battery door is not weather sealed, but this did not pose a problem to me as I do not do much, if any, shooting in harsh wet weather conditions. After taking it out and working with it over 8 shoots. I have a few personal observations and quips. The first being the action of the fire button. It's not as smooth as the action of the fire button on camera. It's easier to misfire when you're trying to get in focus. I loved having the stability and even weight distribution that the battery grip offered on the 5d, the same goes for the Mark II. I don't have to fight with my camera always wanting to point downward when I have a heavier lens on.